Dr Carole Solomons trained at University College Hospital and qualified in 1981. Before becoming a GP, she worked in hospital Medicine, Paediatrics, Psychiatry, Obstetrics and Gynaecology. She was a GP Partner for 33 years and continues to work in NHS General Practice in North London as well as at the Fleet Street Clinic. 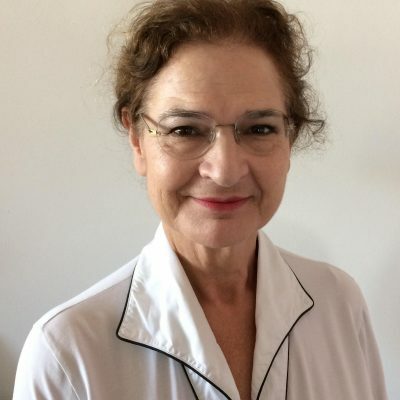 Since 1994 she has specialised in Psychosexual Medicine and is a Member of the Royal College of General Practitioners and a Member of the Institute of Psychosexual Medicine. She provided specialist Psychosexual care in the NHS until 2018. Carole is a highly experienced GP and her specialist areas are sexual health, mental health and medically unexplained symptoms. In 2018 she received a lifetime achievement award from the Royal College of General Practitioners for her contribution to the NHS.